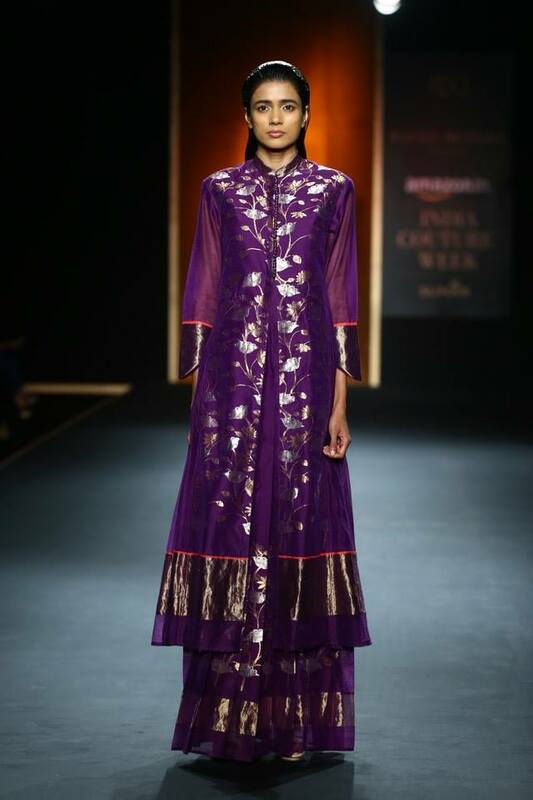 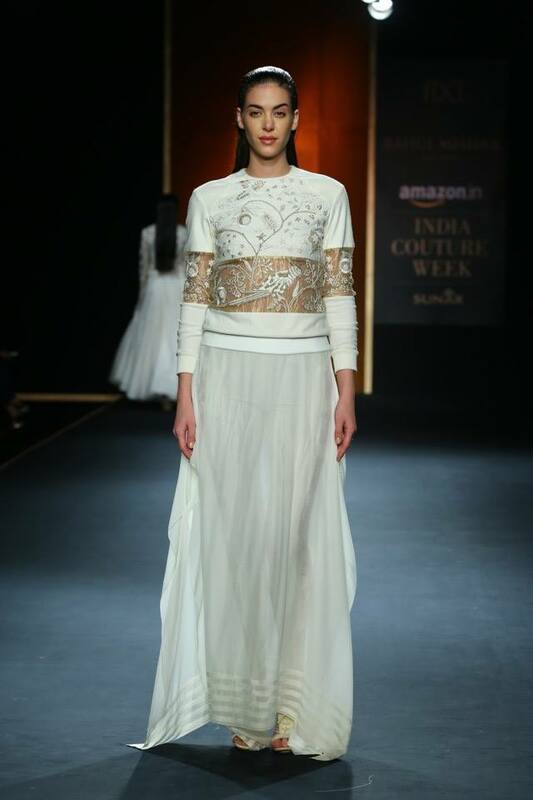 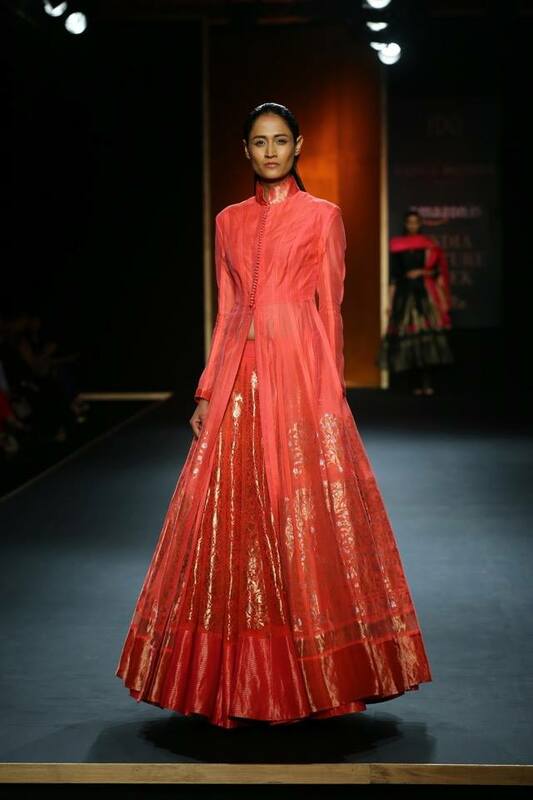 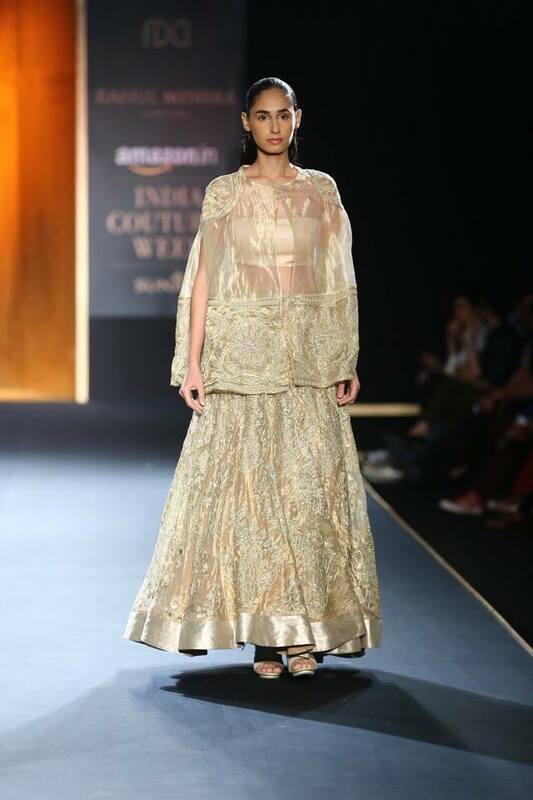 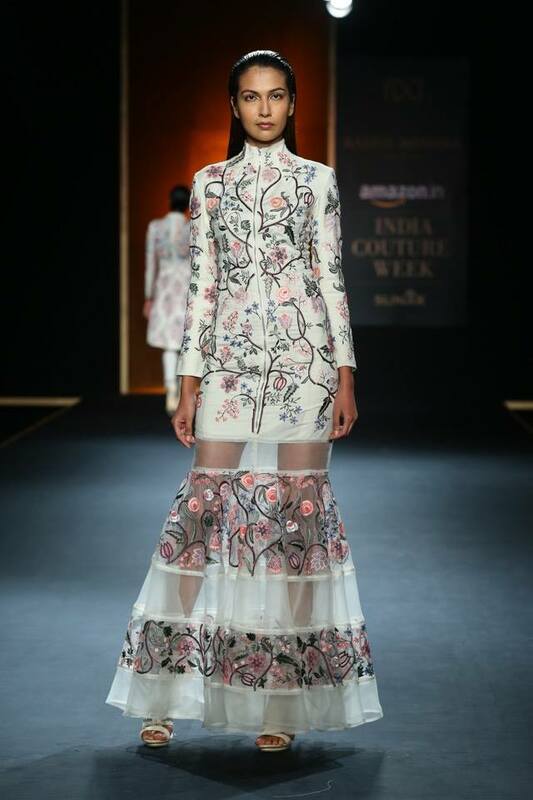 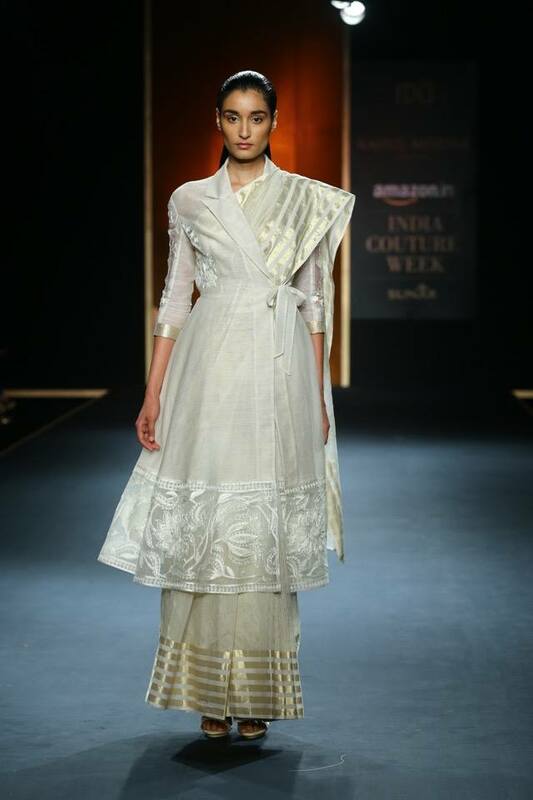 Taking on a sports-luxe feel, Rahul Mishra's collection at Amazon India Couture Week 2015 was mainly monochromatic with pops of colour. 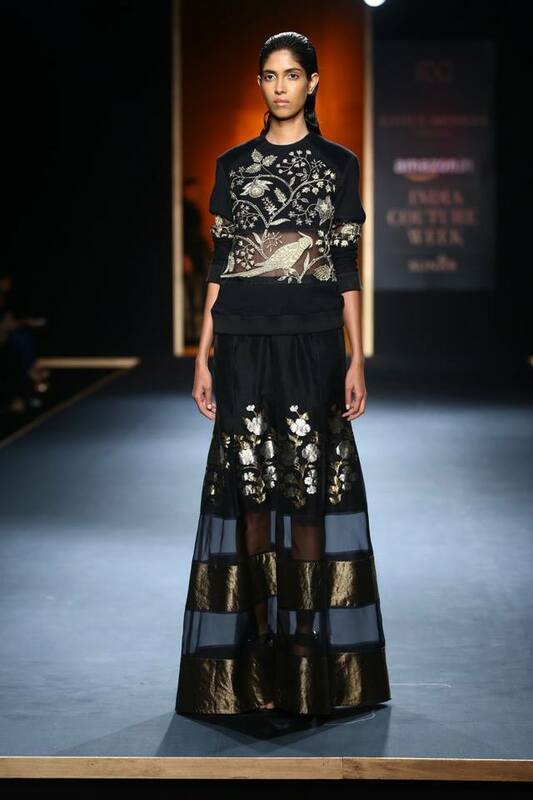 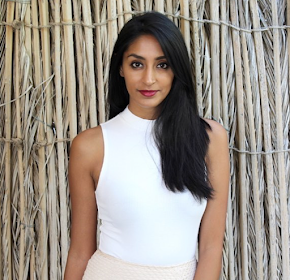 He fused Western trends into his collection through sheer panelled skirts and tops, and sweatshirt style blouses. 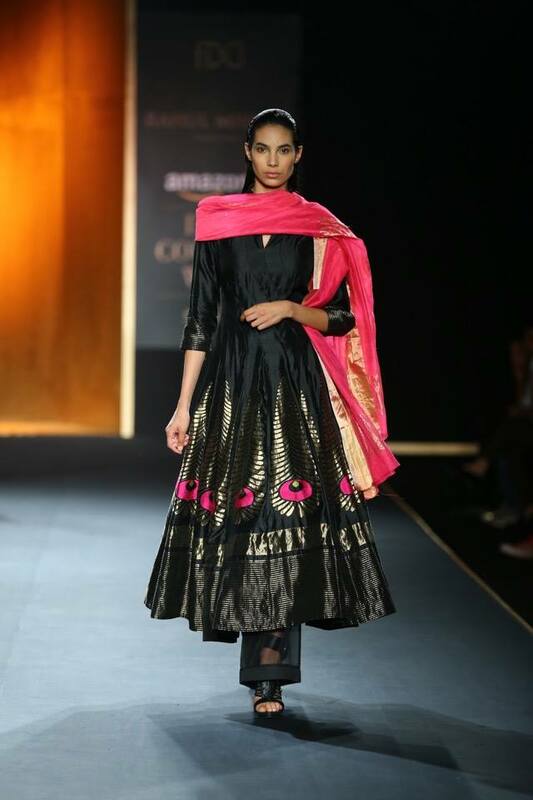 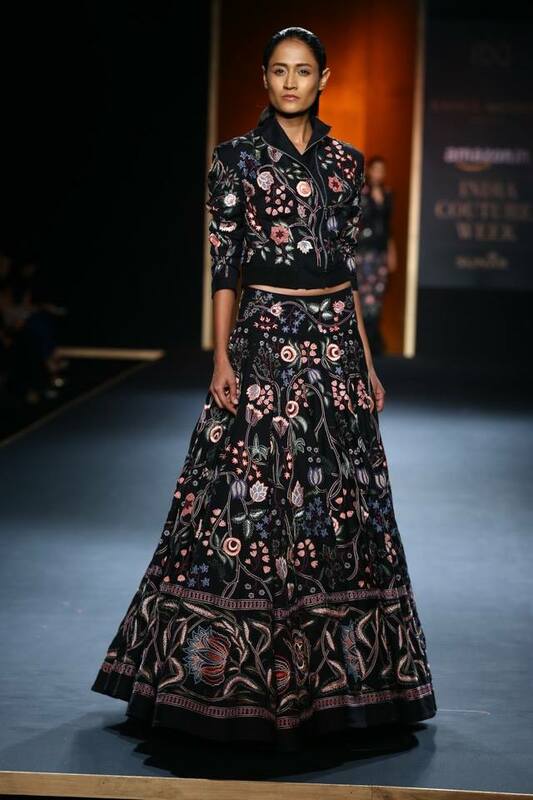 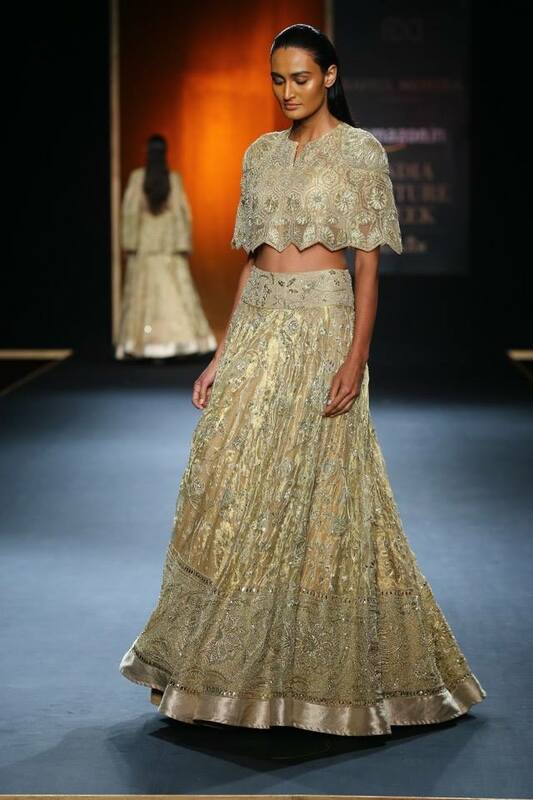 I love the inspiration of nature through the embroidery on the pieces, with the most stand-out outfit being the black lehenga with a jacket top and pastel coloured embroidery through out. 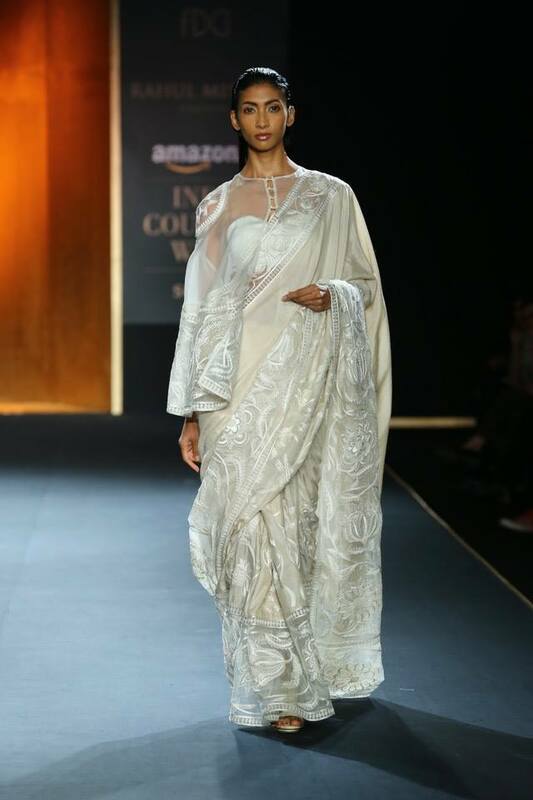 I would love to see this collection on the the red-carpet as it is completely trend-setting and would look fabulous on the likes of Kangana Ranaut. 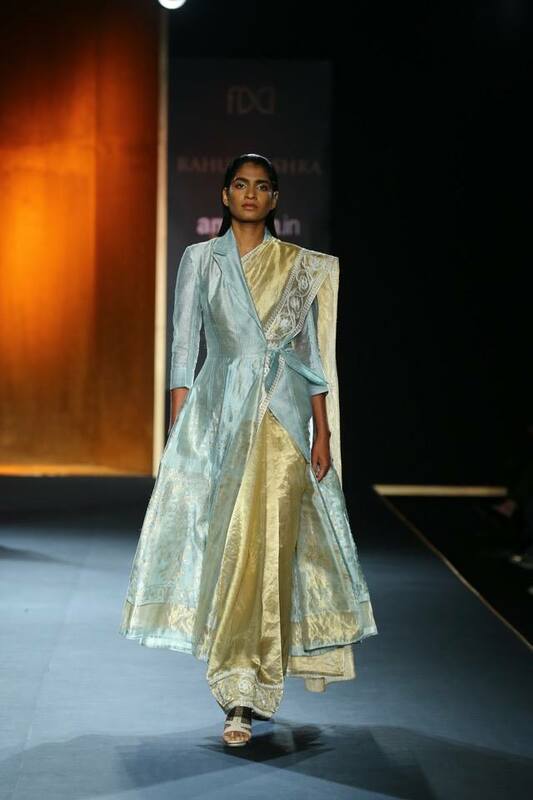 There were more traditional pieces in his collections where he used stunning silks that look light enough to be worn to a summer wedding. 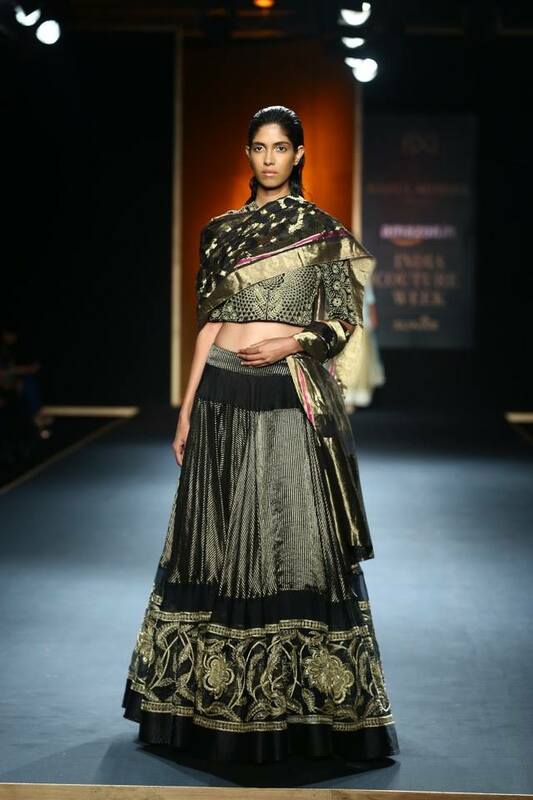 I love that these more traditional items have a certain air of simplicity and elegance to them.